Dr. James Postma is a physical chemist at California State University, Chico. He received his Ph.D. from UC Davis in 1982, studying electrochemistry with Dr. Peter Rock to evaluate the Born-Oppenheimer Approximation. He joined the faculty at CSU, Chico in 1982 and teaches courses in physical and analytical chemistry as well as general chemistry courses. He is the co-author of General Chemistry in the Laboratory, 7th edition, a widely-used laboratory textbook in freshman chemistry classes. He is the chair-elect of the California Section of the American Chemical Society and is currently the Chair of the Academic Senate of the California State University system. 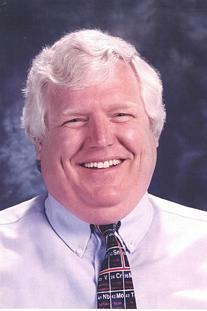 He has been a member of the California Science Project Advisory Board since 1995 and has chaired the Board since 2000.